Hong Kong Science & Technology Park is a leader in world-class infrastructure and sustainable support services in the fields of science and technology. With more and more green developments popping up all over the city, HKSTP offers science and technology companies the platform for them to nurture ideas, to innovate, and to grow. With the completion of the Phase 3 complex in 2016, the Science Park will be home to over 600 partner companies... including around 15,000 engineers, scientists, researchers, technology entrepreneurs and support staff. Facilitating the growth of a modern and green ecosystem for knowledge transfer, business collaboration, and idea generation, the HKSTP has been compared to a “living laboratory”. The buildings are designed using sustainability principles, making use of three key design qualities-- reduction, efficiency, and generation -- to encourage smarter use of resources and a greener lifestyle in the workplace. 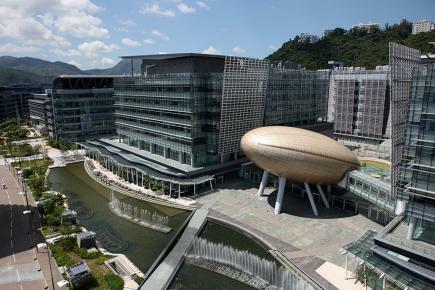 The Phase 3 of HKSTP has been recognized by both BEAM Plus and LEED. The master plan rreceived the Grand Award in the New Building Category (Building Project under Design) in the 2012 Green Building Awards. Phase 3 Building 12W was awarded a LEED Platinum rating by US Green Building Council in 2014. We look forward to seeing further green building innovations from this hub of Hong Kong technology.